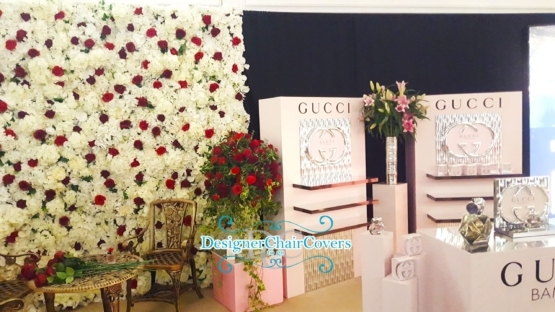 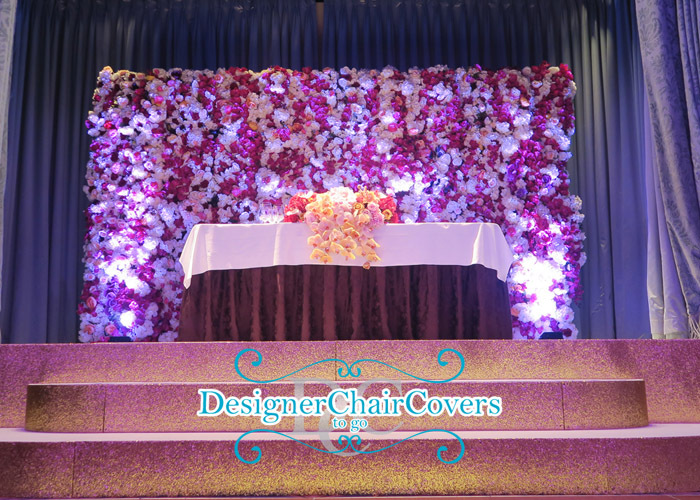 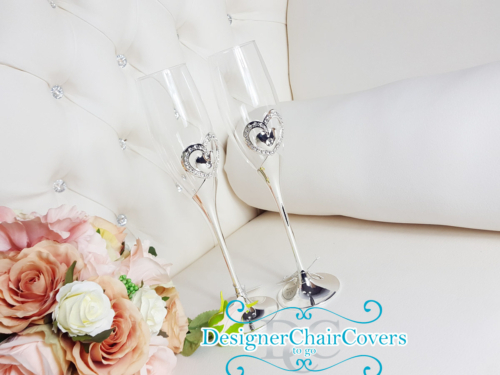 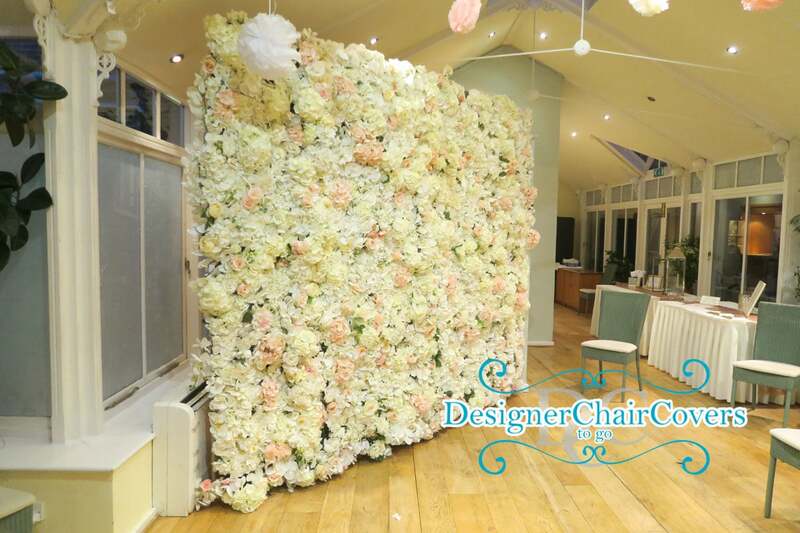 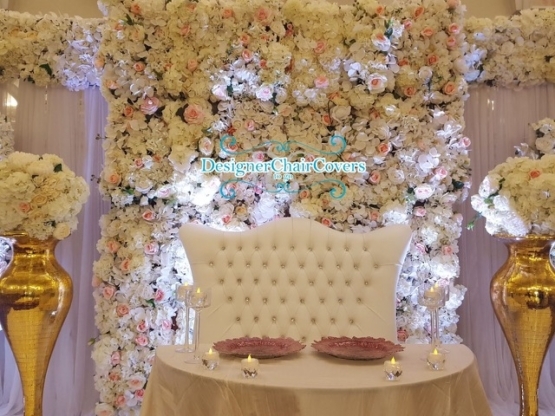 The Luxury silk filled flower wall has become the rage at Designer Chair Covers To Go, and its easy to see why. 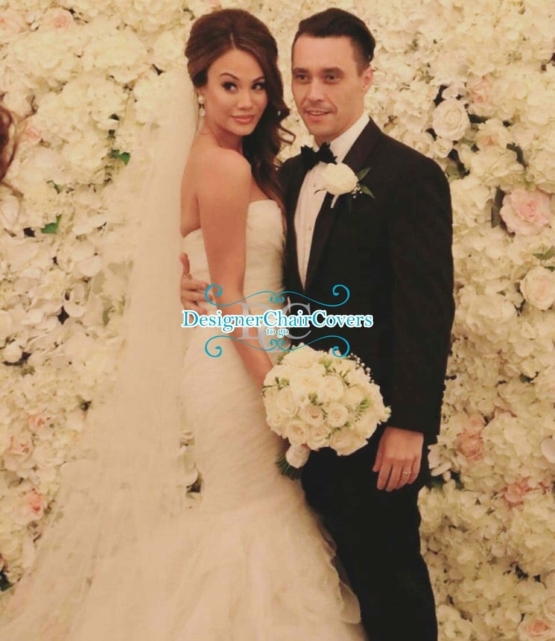 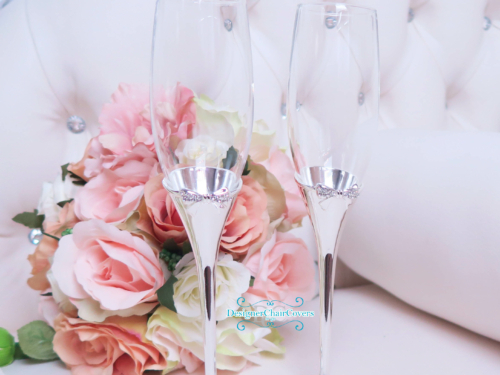 Its our latest backdrop to feature first at a lovely Savoy Wedding. Filled with colourful fuchsia, ivories, pinks, reds and whites the flower wall makes for a beautiful backdrop for your top table, cake table, sweetheart table or simply a place to have a bit of luxury for photographs. 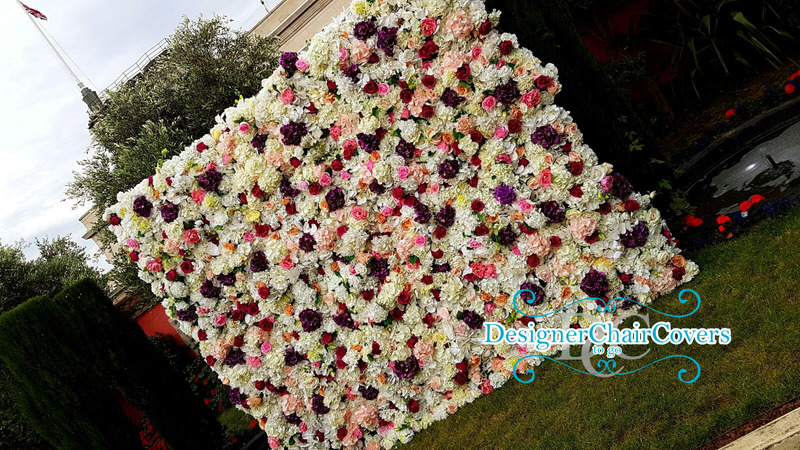 The Flower Wall is customisable to match your colour scheme from a pure white wall to an infusion of colour. 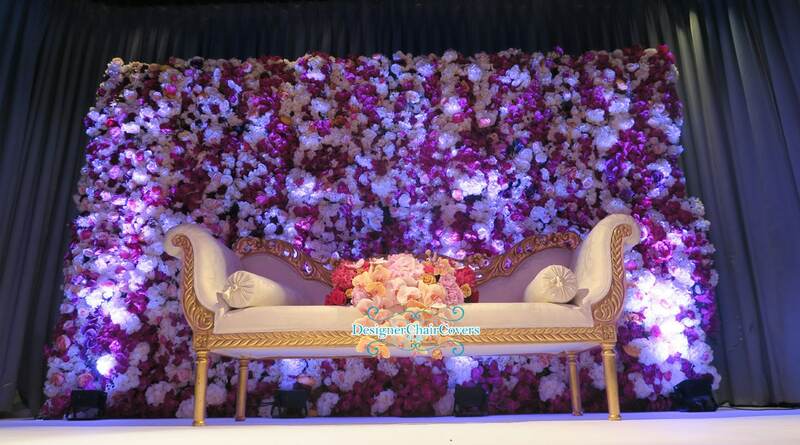 Coming in various sizes from 3M to 6M we can create something beautiful for you. 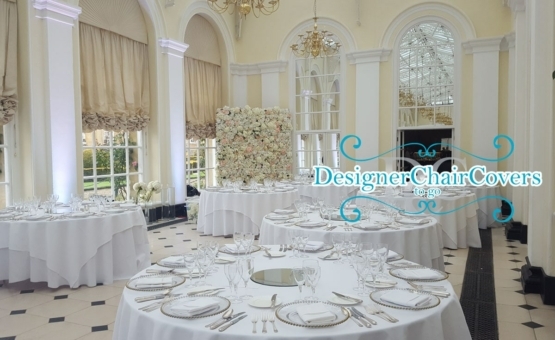 More information get in touch. 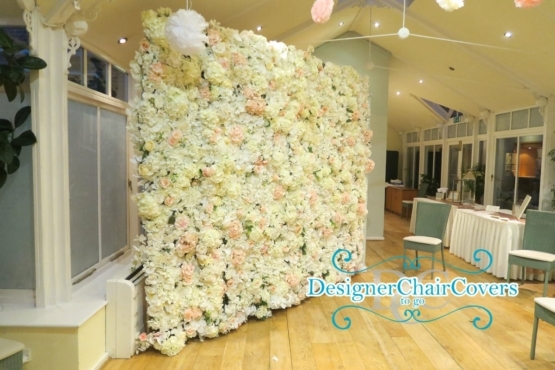 The Flower Wall by Designer chair covers to go.